Found 19 file extension associations related to Samsung Kies and 15 file formats developed specifically for use with Samsung Kies. 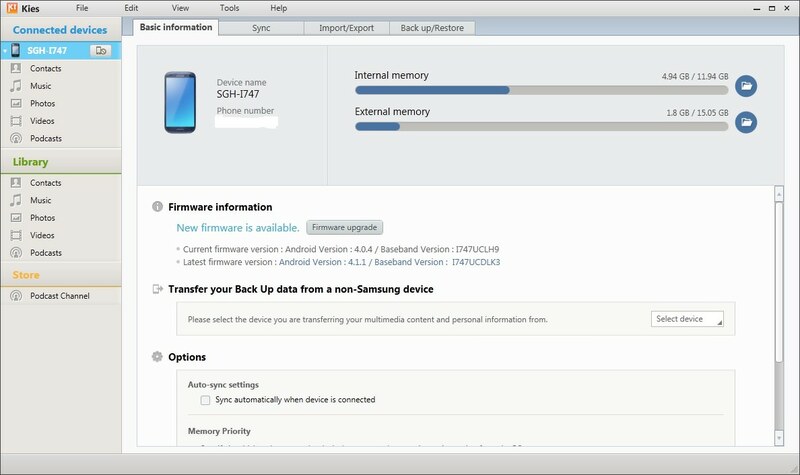 Samsung Kies is an easy-to-use, one-step program that makes managing multiple mobile devices a breeze. Quick and intuitive, it lets you back up, copy, and transfer content stored on your phone, computer, and other devices with a simple click and drag. What's more, it syncs up your text messages, contacts and calendar with Outlook, helping you streamline your life at work and play. Extract contacts from SPB files - Working contacts files in Samsung Kies backup software.. Extract contacts from SBU backups - Getting mobile contacts out of SBU files. If you need more information please contact the developers of Samsung Kies (Samsung Group), or check out their product website.